The AH-64 Apache is the world’s most advanced, multi-role combat helicopter. 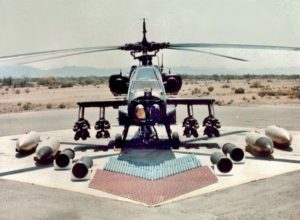 Since the first unveiling and delivery of the Apache AH-64 attack helicopter in 1984, it has become a highly successful part of the U.S. Army war fighting capability, as well as for military defenses in other countries such as Israel, the United Kingdom, Saudi Arabia, the UAE, and more. Over 2,100 Apache helicopters have been delivered, and U.S. pilots alone have logged more than 3.9 million flight hours over its 30+ year history. Some of the Apache’s greatest success was seen during Operation Desert Storm in the early 1990s. Apaches were responsible for destroying part of Iraq’s radar network. They destroyed 278 Iraqi tanks and other military vehicles. Currently, Apaches are being used to protect U.S. embassy personnel in Baghdad, as well as in combat missions against ISIS. Apaches has participated in several missions in the last two years, including air strikes against ISIS forces northeast of Fallujah, and military support for the Iraqi army in its effort to recapture Mosul. Given the effectiveness of the Apache, it does not come as a surprise that maintenance of an Apache fleet takes on a high priority for the U.S. and its allies. In reviewing data from our Defense Logistics Management System (#DLMS), we see some interesting trends. Demand for parts from U.S. bases with Apache fleets is, of course, the largest in the world. However, because the success of this platform, there is a strong international demand for the Apache. Demand has been greatest from the UAE, followed by Pakistan, Malaysia, Canada, India, Taiwan, the UK, and then Turkey. When it comes to part supply, ISO Group’s DLMS shows that 45% of the 24,188 parts that make up the AH-64 are currently stocked, which is great news for operations and maintenance crews in the U.S. and globally. 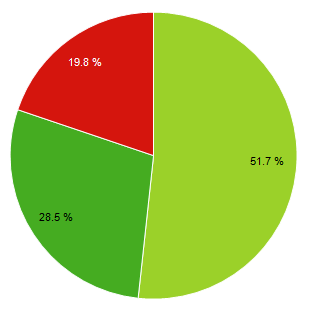 Also, the DLMS shows multiple sources of supply for 28.5% of the entire Apache platform with 51% of items listed as sole-sourced. Approximately 20% of the Apache platform no longer has a part source. ISO Group has seen demand for 66.1% of the parts that make up the AH-64, 33.9% of the parts have no demand. This is an important data set, because by looking at historical data of which parts that are in-demand, maintenance crews of Apache fleets can determine what they may need more of and what parts of the helicopter need greater support. Overall, ISO Group sees stable part demand on the AH-64. In fact, demand has been exceeding forecasted purchases for the last several years. This can have impacts to part price, as well as availability. In fact, one thing that maintenance crews and logistics teams need to take into account as they plan purchases for their Apaches is that the GAO continues to see price fluctuations. A key component of the ISO Group DLMS is that it monitors pricing across a long historical trend to identify price fluctuations. What’s more, in circumstance where there are multiple suppliers of a part, ISO Group can identify the best price point and delivery option for all its customers. Need More Information On Apache Helicopter Parts and MRO Solutions? ISO Group provides spare parts and Maintenance, Repair and Operations (MRO) solutions for the AH-64 Apache helicopter and all variants: AH-64A, AH-64B, AH-64C, AH-64D. ISO Group has experience in the AH-64 Apache Engine Assemblies, Rotables, Consumables, Avionics, Hardware, Landing Gear, Electrical Assemblies, Fasteners, and Structural Assemblies. Click here to search on Apache helicopter parts by NSN or keyword, or call our team with any questions at: +1-321-773-5710.